WHAT'S YOUR FAVE LIP BALM FOR S.O.S. DRYNESS? I have all kinds of lip balms I love, but only one I reach for when my lips are in trouble. This week&apos;s question from the Lipstick League really resonates for me right now: What lip balm(s) do you reach for when your lips are in dire need of moisture/hydration? I&apos;m still dealing with some sort of reaction to some sort of who-knows-what. 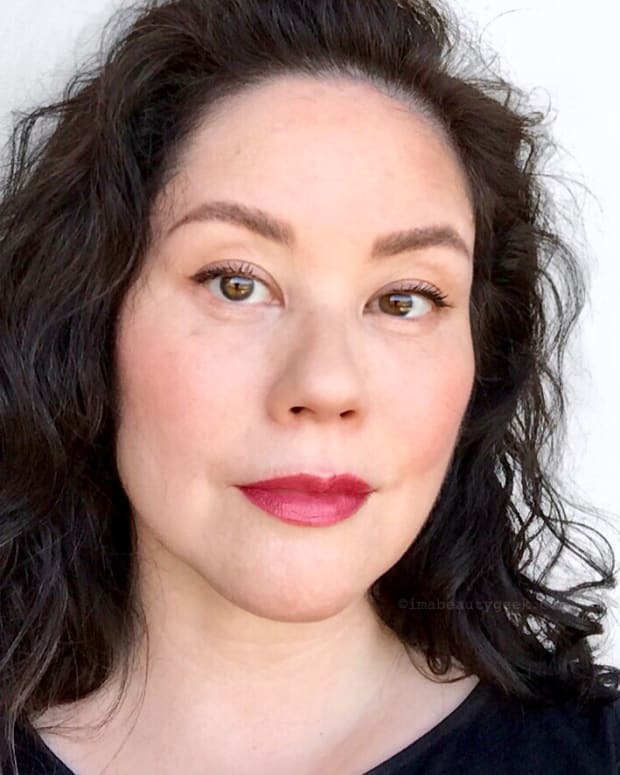 Several times, my lips have swollen to Angelina-Jolie size (on me they look trout-pout extreme), my lip line is insanely, painfully dry and flaky, and the corners of my mouth have cracked. Lovely. I&apos;m on the mend, but throughout, the only thing that helped lessen the discomfort and the terrible dryness is the Bite Beauty Agave Lip Mask ($30 CAd at sephora.ca and $26 USd at sephora.com) in Natural (I avoid anything pigmented right now because I have to apply outside the lines to try to keep my lips from falling off). 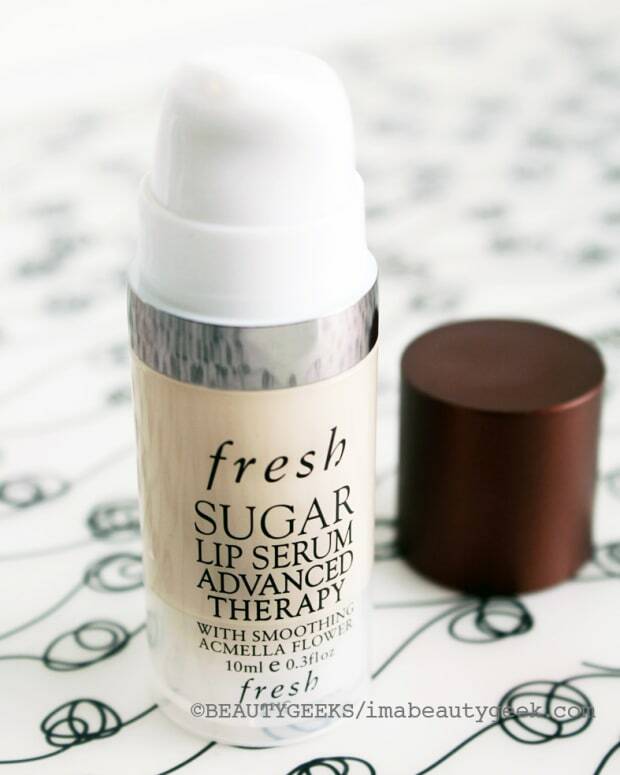 I&apos;ve raved about the Bite Agave Lip Mask before – paired with the Fresh Sugar Lip Advanced Therapy Serum, it&apos;s genius for chronically dry lips. For the most part over the last several weeks, though, I&apos;ve been using the lip mask on its own. Its emollient formula soothes the crazy dryness and stinging, and keeps my lips supple under the trauma. And thanks to its sticky texture, the balm stays put for a good while. Frankly, the Bite Agave Lip Mask has been my saviour these last few weeks. Without it, I would not have been able to function. Seriously: saviour. Beautygeeks Wanna re-use that empty cushion-compact? Here’s how to make your own version of BB-cushion foundation – safely. Beauty Junkies Unite Amber reviews the latest from Urban Decay — Beached Bronzer. There are two shades, and they’re matte — great for almost anyone! Clumps of Mascara So many brands “natural” brands – so little time. Brittany&apos;s put together a nice little list of a few favourites. EauMG Poor unfortunate souls…Victoria is “scenting” Disney Villains! Gouldylox This year is going to be Kelly&apos;s best one yet. To kick it off, she&apos;s opening up about how she&apos;s lost 90+ pounds since last January! My Beauty Bunny This spring they&apos;re all about matching dewy skin with matte lips. 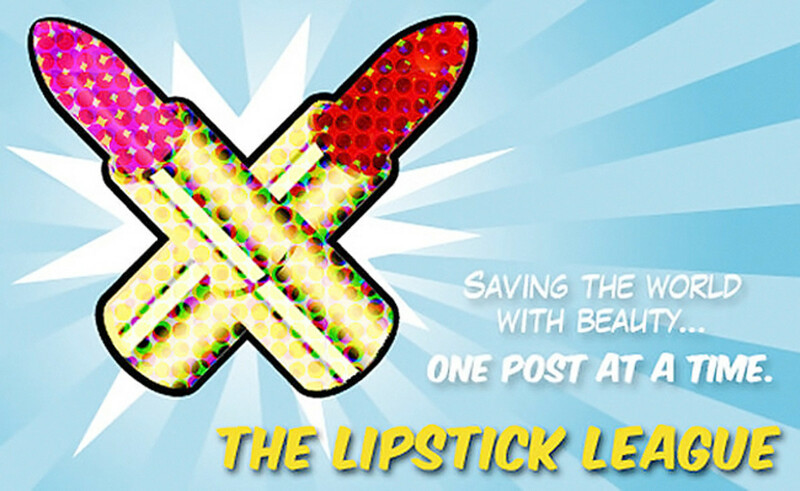 So they love the new, super-pigmented Too Faced La Matte Color Drenched Matte Lipsticks! My Newest Addiction Laura has declared her love for Lanvin! She gushes over Lanvin Eclat de Fleurs and you don’t want to miss it. Nouveau Cheap Did you hear that from now through 3/21, Sephora is giving you 5 free samples instead of 3 on all online orders? If you need some ideas for what to buy, here’s a great set for spring (that’s also an excellent value)! Olive & Ivy Scared of self tanner coming out too dark or orange on you? This is her favourite for a natural, gradual tan (on the cheap, too)! Phyrra compares the Chocolate Bon Bons to the Semi-Sweet to the Original Chocolate Bar (and Peanut Butter & Jelly is there too!) Check out the Too Faced Chocolate Bar Palette Comparison to find the best Chocolate Bar Palette for you! Prime Beauty needs a new “do” for spring so she’s checking out Christie Brinkley’s new line of hair pieces called Hair2Wear which includes extensions, pony tails, braided headbands and more. Enter to win your choice of Christie’s collection at Prime Beauty now! we heart this loves this tried and true product so much, Sherri&apos;s written a “cheer” about it! 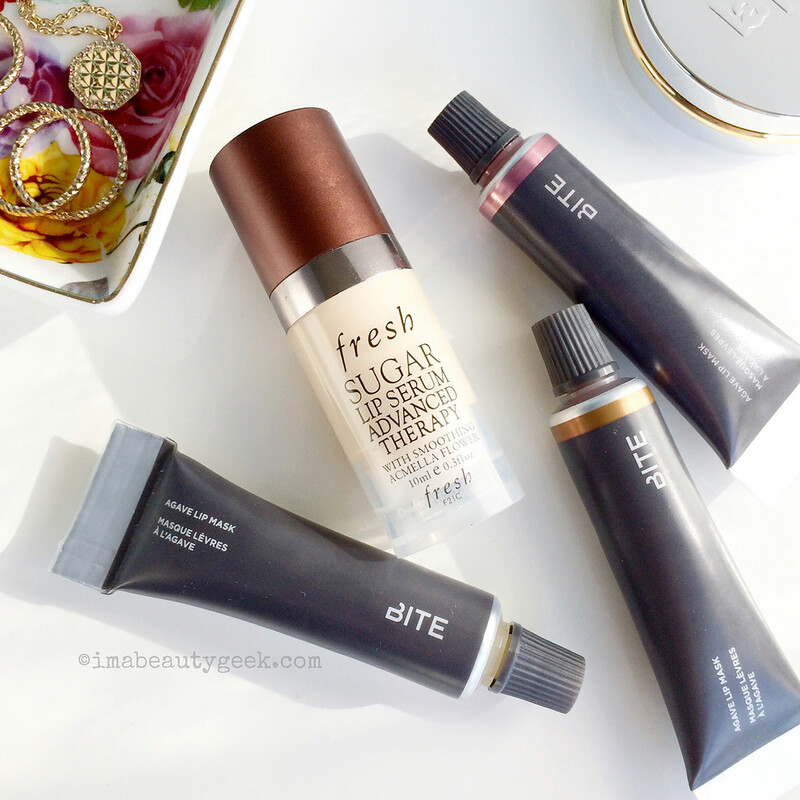 Beautygeeks is Currently Craving: a whack of Dr. Jart skincare stuff, starting with the Water Fuse Water-Full Hydrogel Mask… they’ve shown up on sephora.ca! So, what&apos;s your favourite lip balm for intense dryness relief? Water, Glycerin, Ethylene/Acrylic Acid Copolymer, Caprylic/Capric Triglyceride, Butylene Glycol, Ethylhexyl Palmitate, Limnanthes Alba (Meadowfoam) Seed Oil, Persea Gratissima (Avocado) Oil, Polysorbate 20, Vinyl Dimethicone/Methicone Silsesquioxane Crosspolymer, Camellia Oleifera Seed Oil, Vitis Vinifera (Grape) Seed Oil, Commiphora Mukul Resin Extract, Kigelia Africana Fruit Extract, Spilanthes Acmella Flower Extract, Ribes Nigrum (Black Currant) Seed Oil, Tocopheryl Acetate, Ascorbyl Tetraisopalmitate, Tocopherol, Ascorbyl Palmitate, Sodium Polyacrylate, Silica, Pentaerythrityl Tetraisostearate, Ci 77891 (Titanium Dioxide), Hydrogenated Polycyclopentadiene, Tetrasodium Edta, Dipalmitoyl Hydroxyproline, Biosaccharide Gum-1, Xanthan Gum, Adenosine, Parfum (Fragrance), Caramel, Trihydroxystearin, Caprylyl Glycol, Stevioside, Sodium Hyaluronate, Hexylene Glycol, Bht, Phenoxyethanol, Limonene, Citral, Linalool, Benzyl Alcohol. Lanolin (medical grade), Organic Ricinus Communis (Castor) Seed Oil, Organic Agave Tequilana (blue agave) nectar, Olea Europaea (Olive) Oil Unsaponifiables, Organic Cera Alba (Beeswax), Flavour, Vanillin, Siraitia Grosvenori (Monk Fruit), Vanilla Tahitensis (Vanilla) Fruit Extract, Organic Copernicia Cerifera (Carnauba) Wax, Trans-Resveratrol, Vitis Vinefera (Grape) oil, Tocopherol acetate, Lonicera Caprifolium (Honeysuckle) Flower Extract (And) Lonicera Japonica (Honeysuckle) Flower Extract (and) Simmondsia Chinensis (Jojoba) Seed Oil.